Did you know that your body needs at least 2.2-2.5L of water per day? Your body is 60% water! Water is critical to ensuring bodily functions occur: it is a lubricator & shock absorber for the brain & joints, a solvent that allows chemical reactions to occur, a regulator of body temperature, a transporter of nutrients and waste, and allows circulation to move freely throughout your body. And if you’re breastfeeding, hydration is even more critical! Not only your ability to breastfeed, but in assisting your body create this incredible super food for your child. So why is it that Mums find getting enough water so hard? Quite simply, we’re distracted by other’s needs. How many times have you left the house with your kids’ water bottles, but forgot your own? Sat down to breast feed and realised your water is on the kitchen counter? Or perhaps you avoid drinking water when out with your baby and kids, in case you need to find a toilet – what if there isn’t one around? While these reasons are legit, the benefits of water outweigh these inconveniences. Yes, I know – the toilet reason is a big one. But what if you could plan your day to ensure there will always be a toilet around, if you need it? Treat yourself the same as you would treat your kids in this way. You’d likely always aim to have a toilet near by when potty training your two year old, so if this is a concern, do the same for yourself! Though the benefits to staying hydrated are many. But for Mums, these five reasons should be enough to encourage you to keep that water bottle in your handbag, and taking regular sips, all throughout the day! Did you know that when your body is dehydrated, the brain sends off a similar signal to hunger? Which means that sometimes, if you feel really hungry, you actually just need a big drink of H20. Furthermore, staying hydrated assists your body to move waste and toxins freely and exiting your system without issue. Drinking enough water is critical for brain function in both adults and children, and assists in allowing all cognitive tasks to be completed with clarity and calmness. Remember this the next time your child has a tantrum – and have a big sip of water yourself! Staying hydrated keeps those joints lubricated, which is key when starting back to exercise and avoiding pain in general movement throughout your day. Your joints are more at risk with the hormone relaxin pumping through your system, most prevalent in the timeframe you are pregnant or breastfeeding. Why not take care of your joints by simply drinking enough water? Your organs also rely on water intake, as it assists circulation, and helps nutrients to move freely throughout the body as needed. We all know Motherhood is a bit chaotic at the best of times. But water can actually help us keep our baby brains in check, by decreasing confusion, increasing clarity, and lessening effects associated with sleep deprivation! Rather than another coffee, give your body & your brain what it really needs. Another water, please? This is a big one. Did you know that even experiencing mild dehydration can set off a headache or migraine? Next time you feel one coming on, have a big glass of water, and think about how much you’ve had to drink throughout your day. By upping your water intake from the moment you wake up, to the moment you go to sleep, you could prevent those horrible headaches from starting in the first place. So there you have it Mama. 5 very good reasons why you should be consuming at least 2.25L of water per day! But if you’re needing a little encouragement, or aren’t sure how you’re going to ever going to drink that much, make sure you join us in the 5 Day Hydration Challenge which we regularly do in the (totally free) Healthy & Happy Mums With Bubs Fitness Support Group. We’d love to see you in there! In the meantime, go get yourself a 750ml bottle and be sure to refill it at least twice a day. Add in four large glasses of water around meal times, and voila – you’ve met your daily hydration needs! 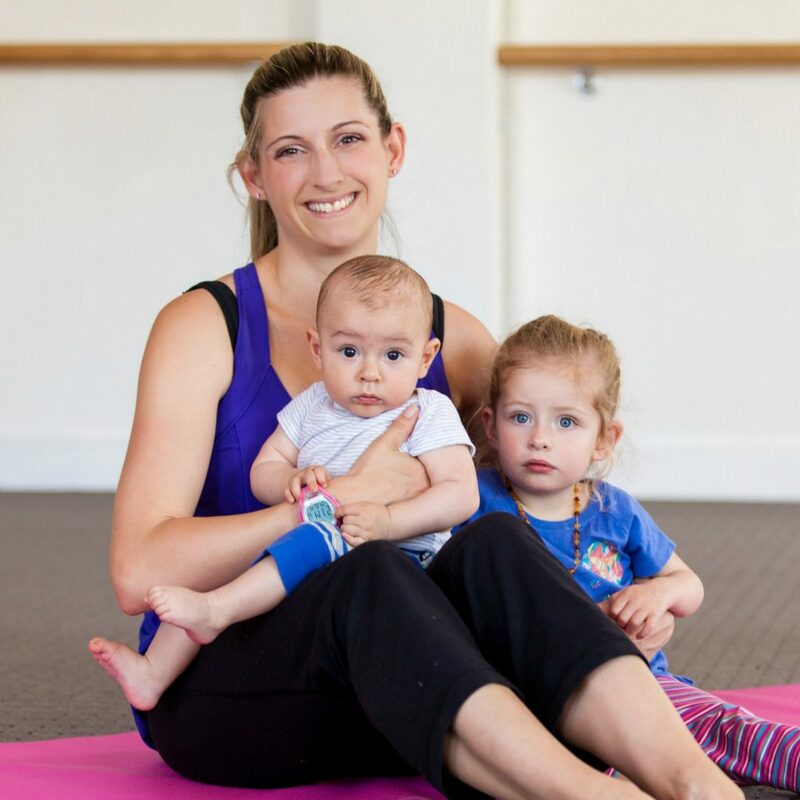 Jenine Dilts-Bayman is The Mums Fitness Expert: Founder of the New Mama Lifestyle online program, The Healthy Live Collective, and Mums With Bubs Fitness. Her aim is to empower, educate and support women towards better health, connecting them to their bodies, their babies & their communities! Jenine holds over 16 years industry experience, her Certificate IV in Fitness, an Honours degree in Sports Management, and specializes in pre and postnatal training. She is enthusiastic about the positive difference her programs make to strengthening families, both physically and emotionally. Jenine is a Canadian expat living in Perth, Australia, Mother to her 6 year old daughter, and 4 year old son.